Try to avoid supermarket chains for your weekly shop, opting for a local farmers market or a fruit and vegetable barn. That way, you won’t be as tempted to buy packaged and processed convenience foods. Organic isn’t always affordable for everyone, so some people may choose to buys a combination of organic and non-organic produce to help reduce chemical contamination. 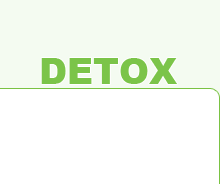 There are also various cleaning recipes to help wash some of those nasty chemicals away, we have included one today. 1. Fill a spray bottle with equal parts white vinegar and water. 2. Then, spray the solution onto your fruits and vegetables; rub it in; and rinse. 1. Fill a bowl with equal parts white vinegar and water. 2. 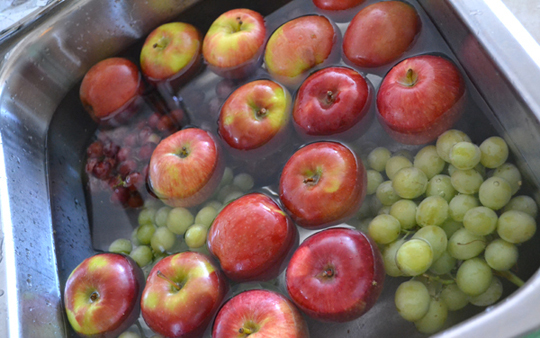 Then, soak your fruits and vegetables in the solution for a minute or two, and rinse. The acetic acid in vinegar kills bacteria and helps to dissolve the wax and pesticide residues found on the skins of many fruits and vegetables.